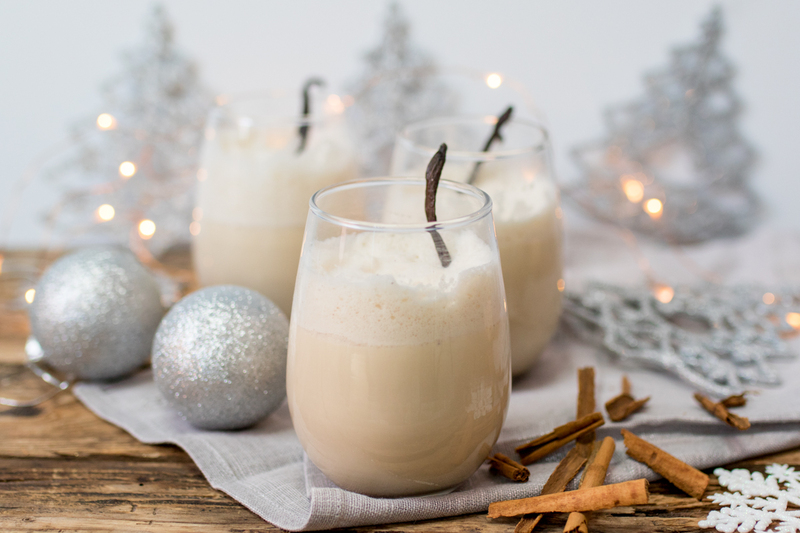 Rum and Ginger Eggnog – a traditional festive drink with a bit of a twist! Bring on the Christmas spirit – preferably in the form of rum! 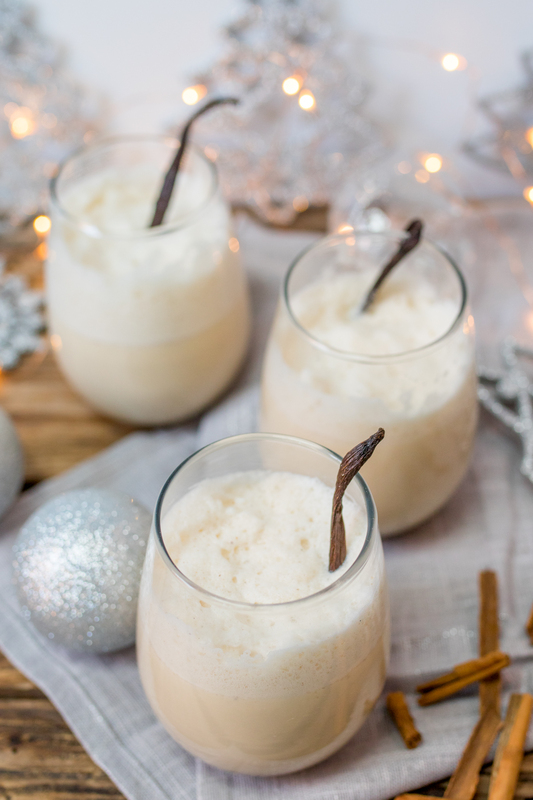 Eggnog – doesn’t it immediately make you feel festive? I know it does for me. I’m already imagining myself with a large glass of this spicy eggnog in one hand and a smoked salmon blini in the other. Bliss! Although it takes a little bit of effort (and a good whisk) to prepare, it’s so worth it. Most versions use brandy, rum or bourbon (sometimes all three! ), this recipe is made with spiced rum to give it a warming feel. I also steep fresh ginger (along with other spices) in milk and cream. I think the ginger and spiced rum flavors work so well together. 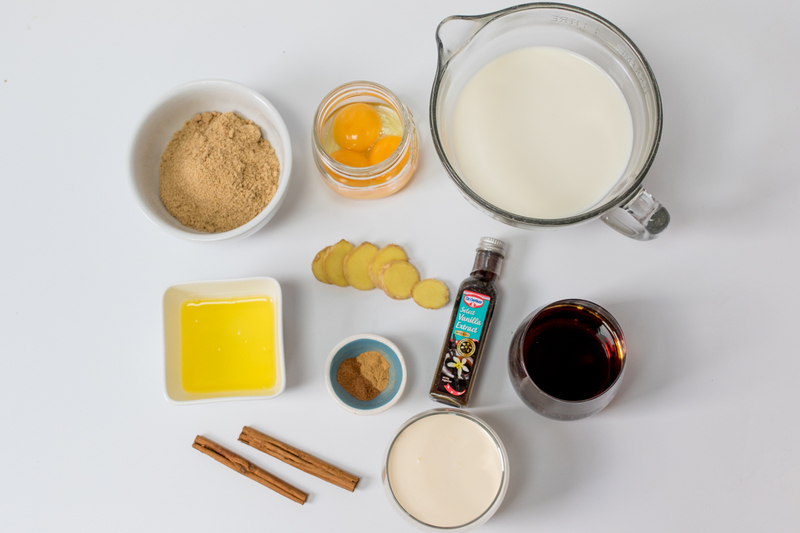 You can make the eggnog up to a day ahead – right up to the step before you whisk the egg whites. Stir in the whisked egg whites right before serving for a light, fluffy finish. 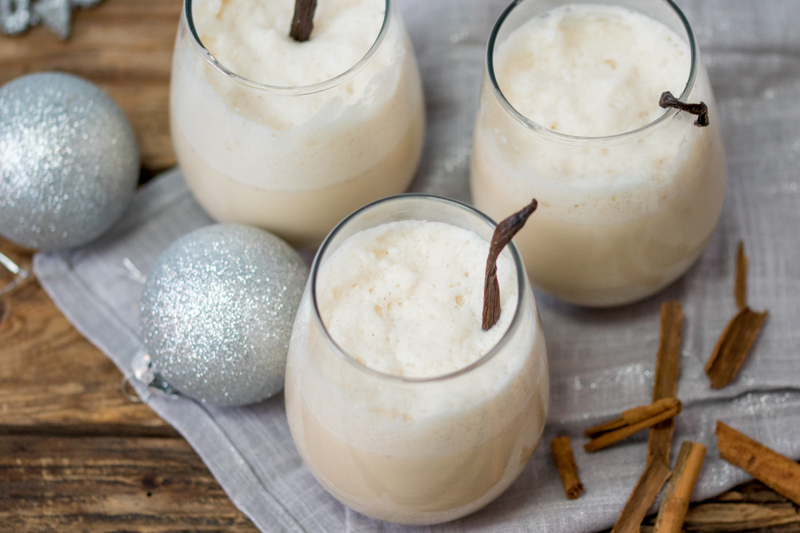 What spin would you give to your eggnog? We’d love to hear! Tweet us @DIYs. 1. 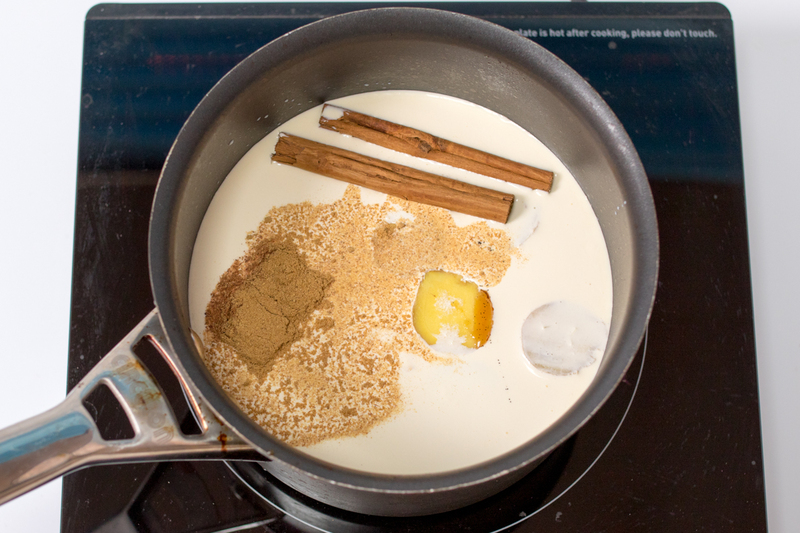 Add the milk, cream, cinnamon sticks, ginger, vanilla extract, nutmeg and ground ginger to a saucepan. Heat on a medium heat until just bubbling, then turn off the heat and leave to cool to room temperature. Once cool, spoon out and discard the cinnamon sticks and ginger. 2. 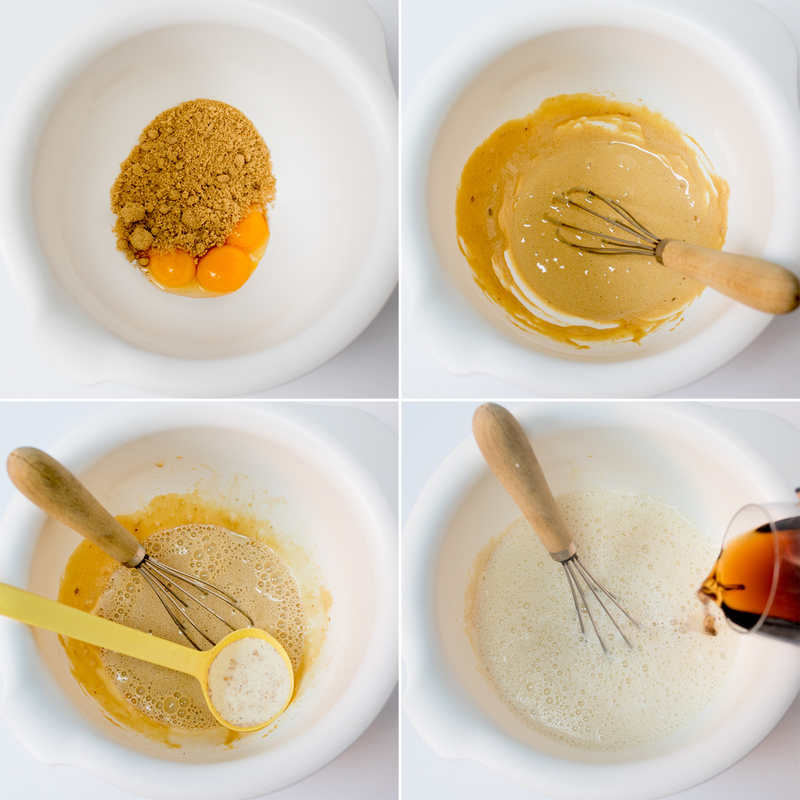 Place the egg yolks and sugar in a large bowl or stand mixer. 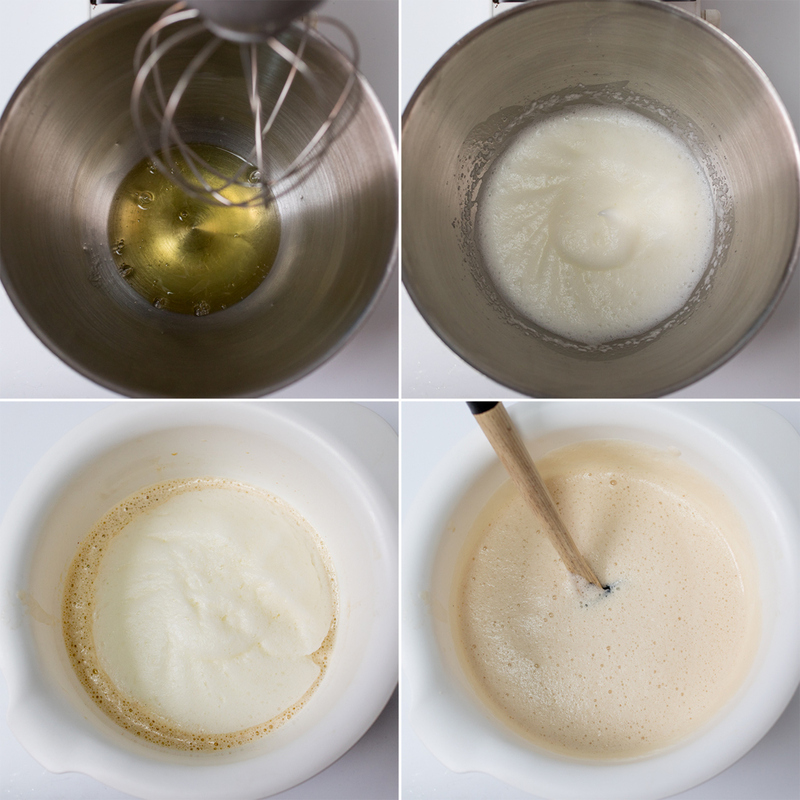 Whisk for 1-2 minutes until creamy. Slowly pour in the infused milk, whilst stirring with a whisk. Stir in the spiced rum. 3. Whisk the egg whites until they form soft peaks. Add the egg whites to the bowl with the milk mixture. Gently fold in in a figure of eight until combined. 4. Serve with vanilla pods for decoration.